For nearly 50 years, Air Products AS has been world leader in environmental and safety at sea, offshore and land-based facilities, and has developed a product that removes CO2 by means of membrane technology. -We received a total of 9 suggestions divided into 6 candidates. The jury has chosen Air Products AS as the clear winner of this year’s Environment Prize, “says head of jury Petter Benestad. “It’s great to draw attention to a company in Kristiansand that supplies and develops world-leading products that reduce greenhouse gas emissions. With this we will also send clear signals to traditional companies about opportunities for conversion to greener products, and to think new and different, says Benestad. -Air Products AS initiated new ideas during the oil crisis to create new revenue sources. Instead of investing in new oil-based products, they invested heavily on a very exciting and climate-friendly product. This is important for climate and environment both regionally and internationally. 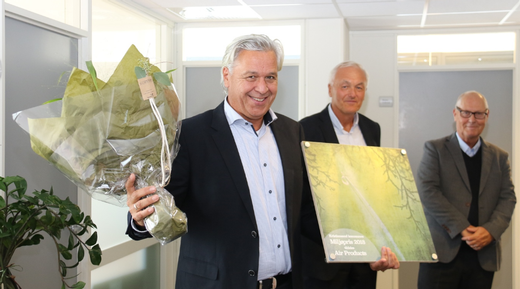 The municipality is proud to be able to award a company in Kristiansand that develops environmental products of global value, says head of jury Benestad, which strengthens Kristiansand’s profile as an environmental city. “Given the fact that the industrial sector accounts for such a large share of greenhouse gas emissions locally and internationally, such new inventions can be scaled up and used throughout the world, particularly exciting. Scientists believe technology has great potential in the coal and process industries, which are behind significant emissions of greenhouse gases. In addition, the technology can be used to upgrade biogas to methane, says Benestad. 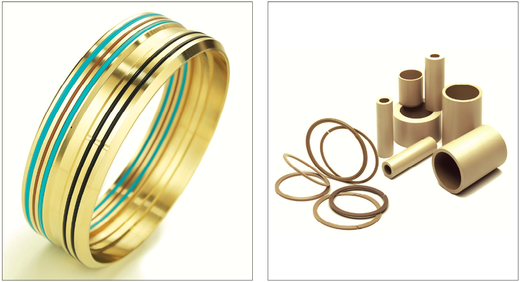 The product that Air Products AS has developed and launched is the removal of CO2 by means of membrane technology. It was developed in Kristiansand together with a research group led by Professor May-Britt Hägg at the Department of Chemical Process Engineering at NTNU – Norwegian Technical Science University in Trondheim. They have developed a membrane separator that can remove up to 90 percent of carbon dioxide in flue gas and biogas. Together with NTNU, Air Products AS has tested the technology in industrial plants, with good results. The collaboration between NTNU and Air Products AS resulted in a License Agreement. The agreement allows Air Products AS the rights to use NTNU`s proprietary fixed site carrier (FSC) membrane technology in conjunction with Air Products AS` proprietary PRISM® Membrane technology for carbon dioxide (CO2) capture application. Significant sums have been invested in research and development of the product, which has received support from the Norwegian Government via Gassnova and CLIMIT. Air Products AS has its headquarters in Kristiansand, with 50 employees. The company has approximately 90% of the world market for LNG tankers. In 2014, they were awarded Company of the Year in Southern Norway, by the readers of the local newspaper Faedreandsvennen, and have been top 3 nominated finalists several other awards, such as the Innovation Prize and the Export Prize. Air Products AS is headed by Managing Director Tom Cantero, and the CO2 project is led by Process Manager Svein Gunnar Nodeland. Pentagon Freight Services LLC is celebrating again, after being named a finalist in the Logistics/Transport Company of the Year category in the MEED Awards 2018.